Attorney Rob Levine Makes Bail! Select business leaders, appropriately nicknamed “Honorary Jailbird,”’ served a voluntary 60-minute sentence at Legal Sea Foods to raise funds for MDA. 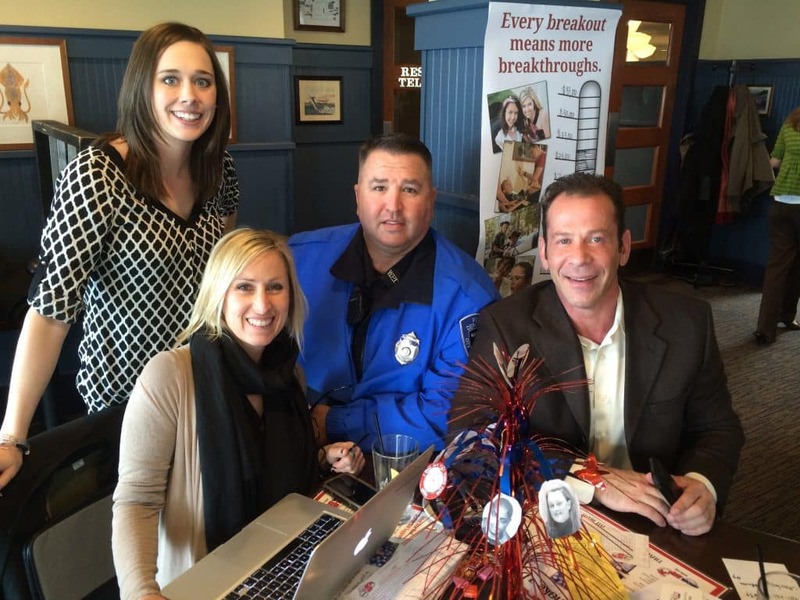 Between enjoying a delicious lunch and networking with other participants, MDA Jailbirds called friends and family to bail them out of jail. The $37,000 that was raised at Wednesday’s Lock Up will help fund MDA’s clinic at Rhode Island Hospital, summer camp tuition, essential equipment repairs, support groups and worldwide research. Attorney Levine’s commitment to his community began at the age of 16 when he joined the local emergency response team as a medical technician. Levine later served in the Rhode Island National Guard as a military police officer and continued on to join the Central Falls Police Department. Working as a public servant inspired Levine to pursue a career in law. “I became a lawyer so that I could have an impact on the community in a more global sense, and reach more people suffering from injuries and disabilities,” he says. MDA is the world’s leading nonprofit health organization sponsoring research seeking the causes of and effective treatments for neuromuscular diseases. MDA research grants currently are supporting more than 250 projects worldwide. MDA covers 43 diseases including Amyotrophic Lateral Sclerosis (ALS).